Happy Sunday everyone... This past week been great for me, in a card sense. :) I made 3 cards and enter 4 challenges. That was fun! See, my work is fast pace and I always have to focus to make sure all orders go out correctly and on time. When I get home, I often feels like my mind still going 100 miles an hour and it's all about work. I try knitting and reading to help me unwind. But, nothing works like playing with my papers and stamps. The moment I deal with papers and stamps, it's like my mind immediately winding down from stress to happy. I think because it makes my mind switch from serious to all about being creative, which is what I love. For me, the whole creative process is relaxing. I am surrounded with colors, images that I love, creative inspirations, all things that I love. Below is another card that I came up with during my relaxation mode. 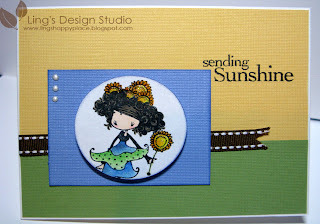 :) I'm following the sketch from Stamping Bella blog. 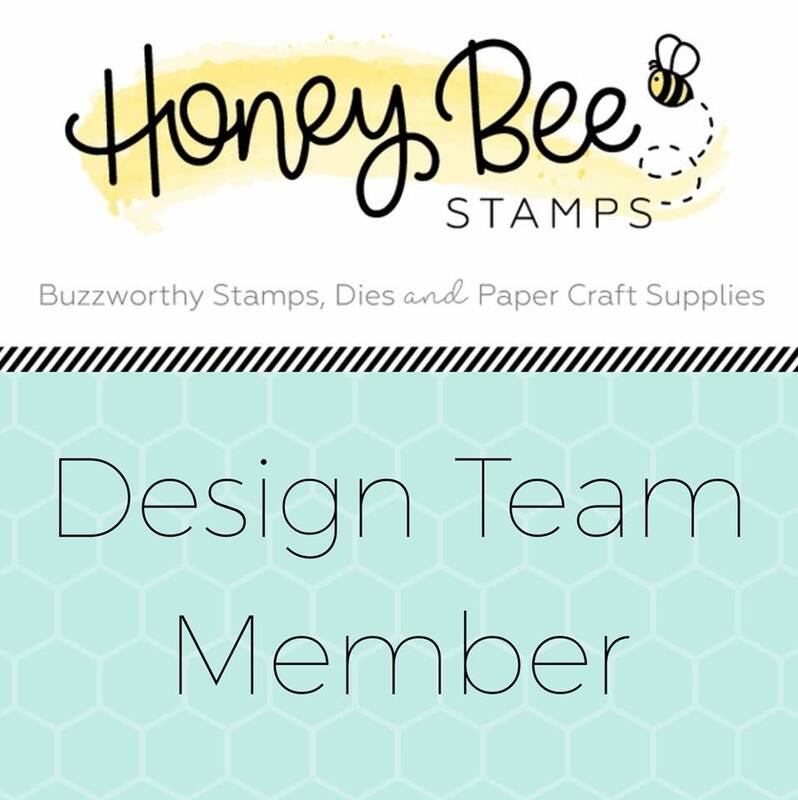 Stamp is Suzette Ketto and Hero Arts. At first, I am not sure how I feel about the distress look. But as I take picture of the card, it kind of grow on me. Sometime you just see things when you look at it from behind the lens. Well, I hope you like the card. That's all for now. I am out with back pain and ready to just chilled out and let my back heal. May your Sunday be a happy one filled with joy & sunshine! Woohoo... first time for me to be able to join a few challenges in one week. First, I did the caardvark challenge, then Hero Arts, then today the Mojo Monday challenge. Actually, for all the cards that I made this week they were combination of 2 challenges in one. The pink card on my previous post were combination of Caardvark & Hero Arts challenges and this one here is combination of Mojo Monday & Hero Arts. Can you see a pattern here? :) I just love Hero Arts. 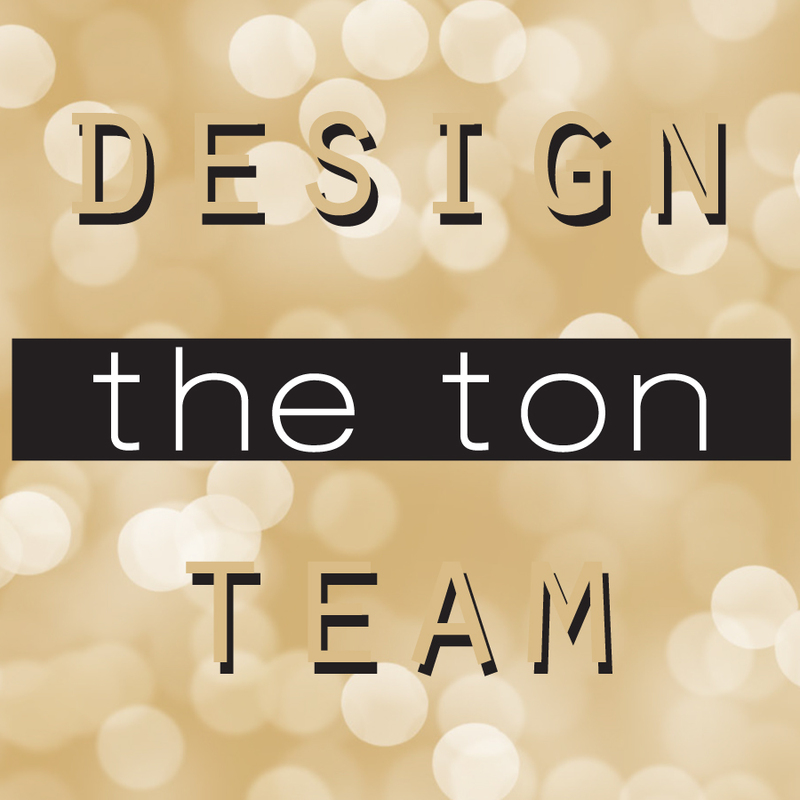 Not only because of their awesome products, but they have fun challenges and the ladies on Hero Arts Flickr group are so awesome and supportive. The stamp I use for this card is Suzette Ketto. I have to thanks Mindy from Stamping Bella group who's so kind to mail me Suzette's images. I only have a few of Ketto stamps and Suzette is not one of them. Mindy completely brighten my day by sending me quite a few Suzette image to play with. Thanks, Mindy!! I colored the images using Prismacolor pencils and Copic Ciao markers. Add some glitters and use the liquid pearl for those little dots. Love this cheerful looking card. I think I'll send this to my mom. Hope you like the card and if you stop by please let me know what you think. Thanks for stopping by. This would be my first time joining the caardvark challenge. 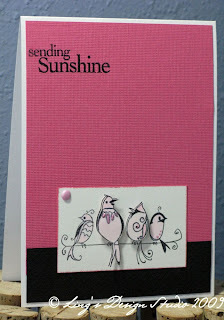 The challenge is to create a card using white, black, and pink color combo. Not my typical color, but that's what I love about challenge, it makes you step out of your comfort zone and try something new. This is the card that I came up with. Pretty simple, but I think it's still pretty eye catching. :) The two birds in the middle are layered on pop-dots for that extra dimension. Sometimes it's fun to do simple cards. For me simple card help showing the main image more, ya' know... And another thing, I create this card totally by using my scraps. Hehe... part of my effort to clean my table. Well, short one for today as I have loads of stuff to do. Thank you for stopping by and hope your Monday is good. I went to Michael's yesterday and was like a kid in the candy store when I saw the new stamps collection they have. They have a bunch of new stamps from Recollection and Hampton Arts. The price is so reasonable and even better that I get to use their 50% off coupon. Yay... score!!! Anyhoo..., with my new set of stamp, I use it for the greeting for this card. 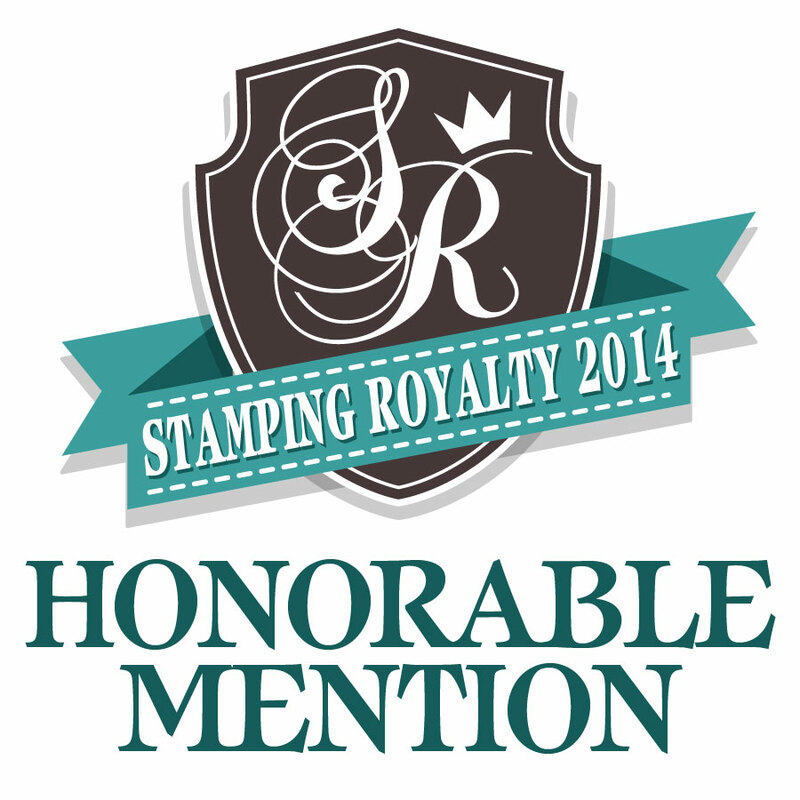 The bird stamp is from Stampin Up! collection. Lots of layers on this card. My coworker said she wants something that kind of manly. I am a girly girl, so this is the closest thing I came up with in short notice. I think it's quite manly, because of the colors I chose. What ya' think?? All image is colored with the awesome Copic markers. This Thursday, my in-laws are celebrating their 49th wedding anniversary. Wow... 49 YEARS!! That's so awesome and I am in awe of them. Seems like in this day and age not that many couple go this far. I can only hope that my own marriage will follow their example. My in-laws are very loving, thoughtful, and wonderful. I am actually excited whenever we get to see them. I am very blessed that both my husband and I love each other in-laws. Hehe... my husband even thought that I should get my mom move from Indonesia and live with us. Well, during dinner last week, my father-in-law whispered to me and asked me to make an anniversary card for him. Hah... on top of it he said if his wife ask me to make a card, too, to say no that I don't have time. Sneaky, LOL. :) The card below is what I came up with. So, today's blog is dedicated to my awesome parent-in-laws. Together they have raised 5 children, have 6 grandchildren (plus 1 coming soon), and now they're just enjoying life. I am definitely thankful to them for my husband. My husband is one of the most loving, thoughtful person I know. Thanks Mom, Dad for raising such a kind, loving son. I am so blessed to be part of their family. The card was so much fun to make. Did you see the grass? Yep, I glued the fibers one by one. And to create the dew look, I put some stickles glitter randomly on the grass. Funny, how I could be so impatient on certain things, but I can patiently glue tiny stuff for cards and actually enjoy the process. The card with the adorable hedgehog is our card for my in-laws. My husband and I have an African pigmy hedgehog as a pet, so I love using hedgehog stamp (Penny Black has awesome line of hedgehog stamps). Hi everyone. Sorry I haven't been able to post much last week and this week. Just have quite a few things going on. Well, here's the cards that I made for Shari's Hero Art sketch challenge. There's 4 sketch available and I did 2 of them. On the birdie card I am trying out Jennifer McGuire's teachnique from her inking class. After I color the birdie, I spread some stickles glitter with my fingers. It gives the bird this pretty soft glitters. I stamped the bird twice and cut the second one around the body and attached it with pop-dots. For the owl card, I used a glossy paper & colored it with brayer to create the soft blue color, then stamped the owl on top of it. Used the Ranger's Pearl for the heart and add Stickles glitter to the swirls, thr bird house roof top, and the hearts. I use bits and pieces of digital image here and there to make embellishment for my page. I like to actually feel and touch the stuff I use for my page. I do love using fonts and digital images. I just haven't get to the point of creating the whole pages digitally. Well, now Hero Arts is starting to go into digital stamping. So, I decided to give it a try. 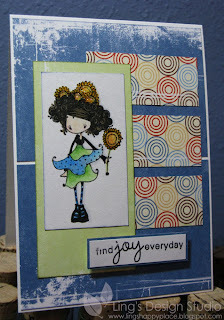 For my card below, after I print it, I colored it with chalks to create the soft colors. Then I stamped the Stamping Bella owls, colored it with copic markers, cut it, and attached it to the background with pop-dots. Yippe ya yei... my first card using digital stamp. I think it's a super duper cute card.... if I may say so myself. :) I am in love with these owls, too. Well, hope you enjoy it and may your day be a good one.